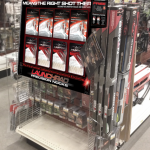 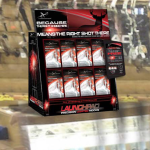 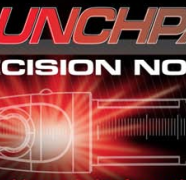 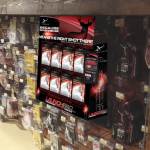 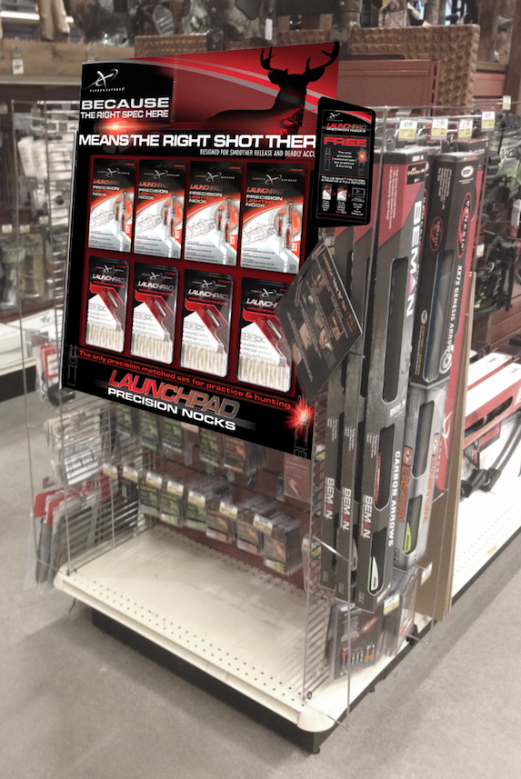 “Launchpad Product Launch” integrated packaging and merchandising campaign created for Eastman Outdoors.  Every detail matters. 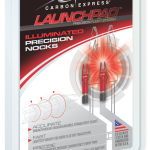 When it comes to the nock on your hunting arrow, precision engineering is what ensures a smoother release and greater accuracy. 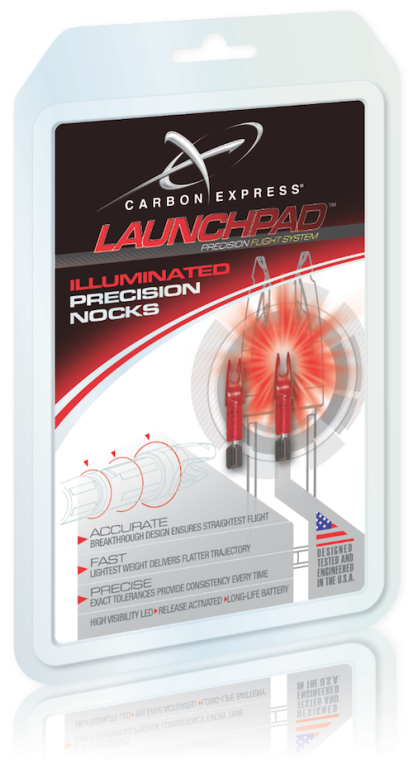 Creating a premium story for this new innovation included packaging for both lighted and non-lighted nocks. 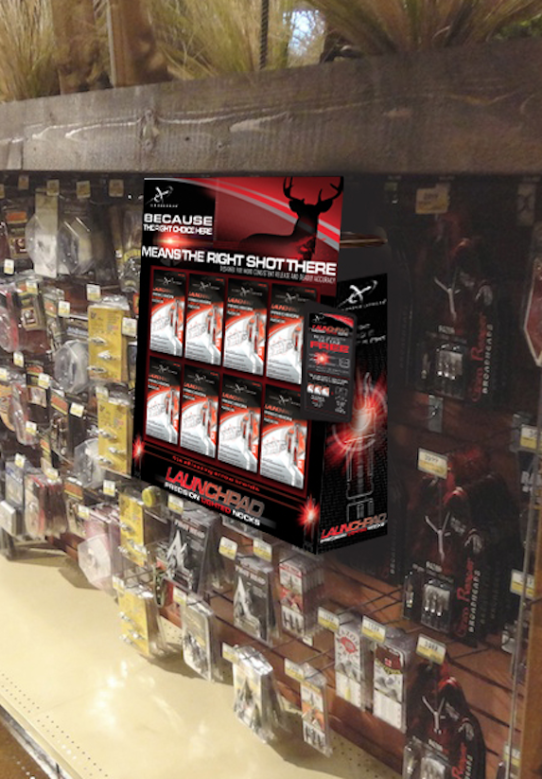 Plus, merchandising and advertising to get the nocks off the shelf and into the hunt. 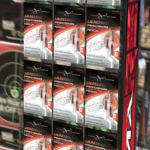 In order to maximize efficiencies, my design partner and I developed an exclusive modular display unit which could be used in-run, on end-aisle displays and as a stand-alone countertop unit. 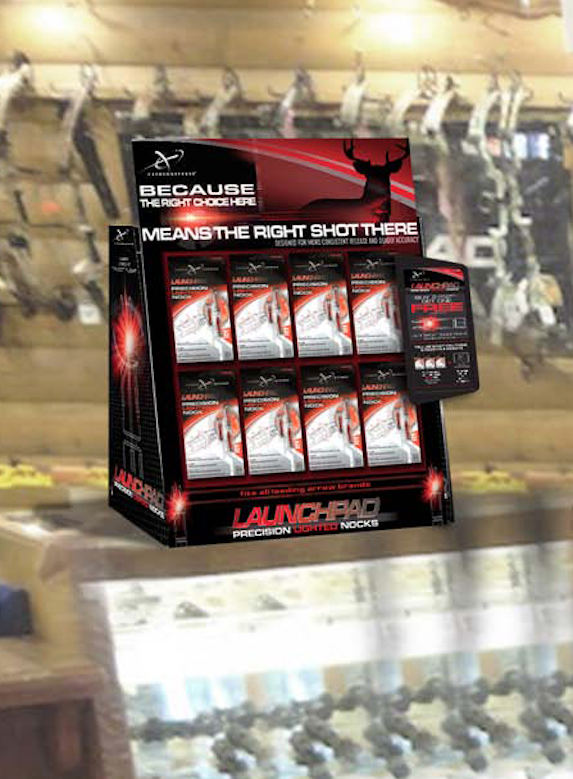 The results so far have been more than deadly.